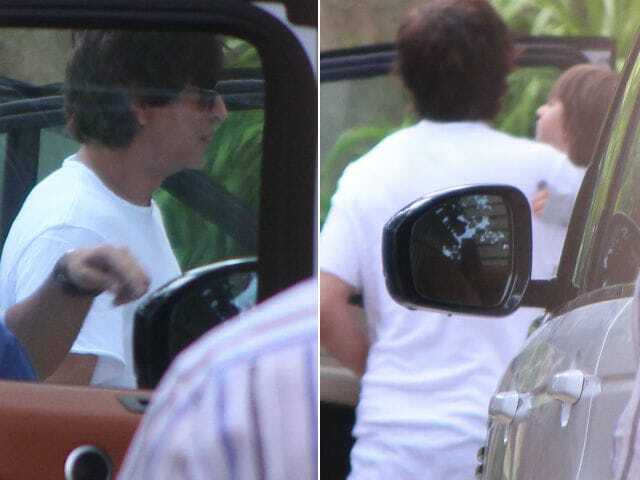 Actor Shah Rukh Khan, who was busy promoting Jab Harry Met Sejaltill last week, was on Monday spotted with younger son AbRam outside wife Gauri Khan's new store in Mumbai. Gauri is an interior designer and her new store, Gauri Khans Designs, was recently launched. In the pictures, SRK, 51, and AbRam, 4, are seen twinning in white. 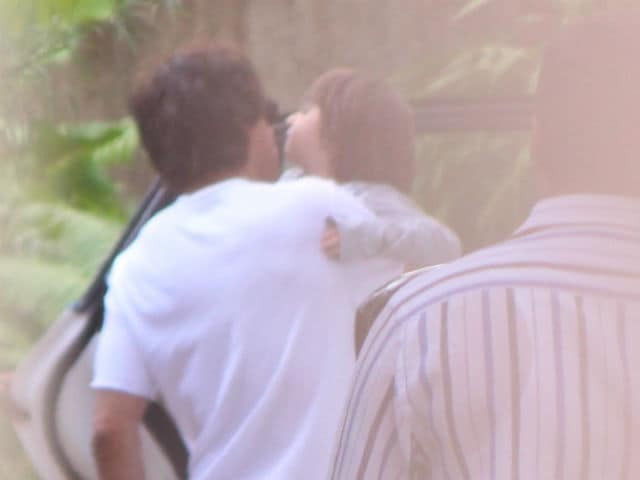 AbRam is his father's constant companion and often features in his posts. Both of them are often spotted together on long drives, shoots, trips, late night walks and at cricket matches. SRK is married to Gauri for more than 20 years. AbRam's elder siblings are Aryan, 19, and Suhana, 16. 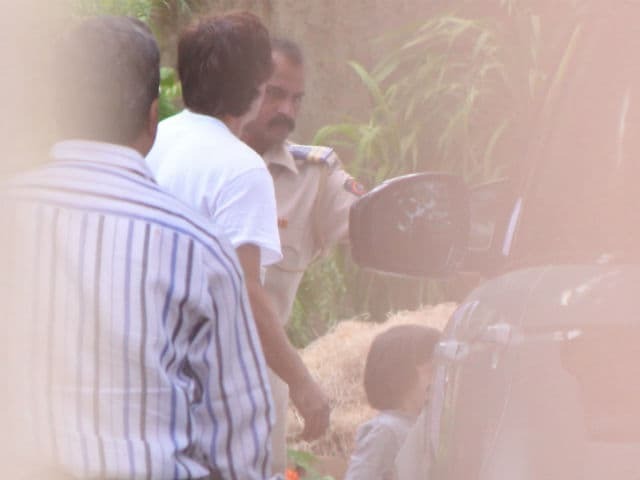 Here are pictures from Shah Rukh Khan and AbRam's latest outing. 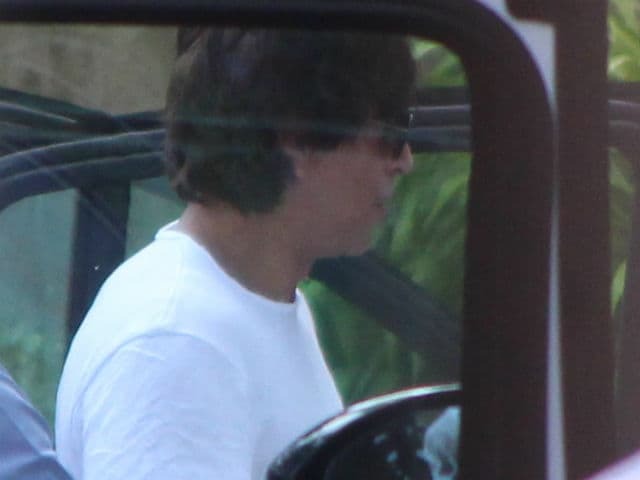 A few weeks ago, SRK and his family were in Los Angeles for a holiday. While SRK left early due to work commitments, Gauri and children stayed back. Check out these pictures from the Khans' holiday album. This one's special. SRK and Sridevi together. Sridevi was also in LA for a family vacation. Shah Rukh Khan's Jab Harry Met Sejal released this Friday. The film has so far earned over Rs 45 crore. Jab Harry Met Sejal, directed by Imtiaz Ali, stars Anushka Sharma opposite SRK. It is SRK and Anushka's third film together after Rab Ne Bana Di Jodi and Jab Tak Hai Jaan. Both the stars have now collaborated for Aanand L Rai's next untitled film. Apart from Jab Harry Met Sejal, SRK was seen in Raees, which hit the screens earlier this year. He also had a cameo in Salman Khan's Tubelight.